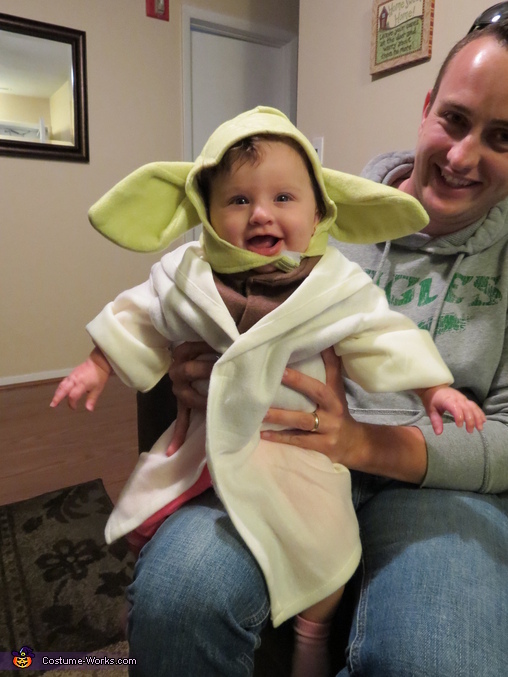 Madison, age 4 months is wearing her Baby Yoda costume for her first Halloween. She made sounds like Yoda from birth so she was destined to be Yoda for Halloween! So cute!